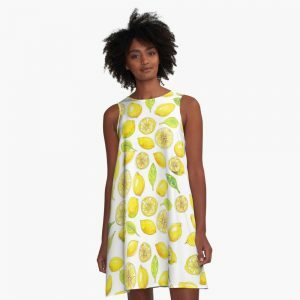 This week I have been working on a few juicy fruit designs, I started with lemons. I created designs in watercolors, and later added some linework. I love them both, but the design with the added lines is more powerful. 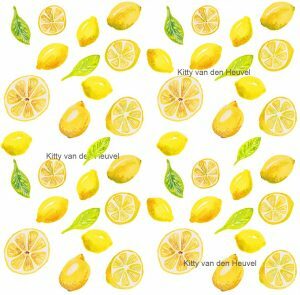 I have uploaded both of these designs to my Redbubble shop (kittyvdheuvel.redbubble.com). I love how it looks on this A-line summer dress! 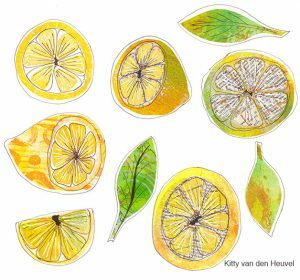 And here are lemons in collage. 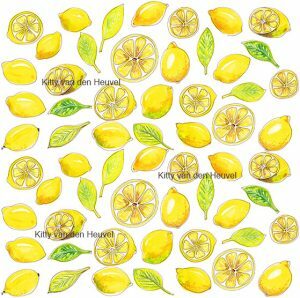 I first painted papers on my Gelli Plate to use for the collaged lemons. I added linework later. And now I have moved on to bananas :-). 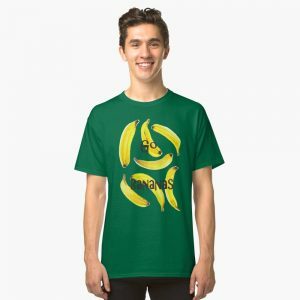 This will be my motto for the week: GO BANANAS!!!! AND HAVE FUN.